Many forces wish to undermine Georgia’s democratic development, and this is why the EU engagement and cooperation must be much more active, writes Gunnar Hökmar. In the aftermath of the Russian revolution, the Democratic Republic of Georgia declared itself independent on 26 May 1918. 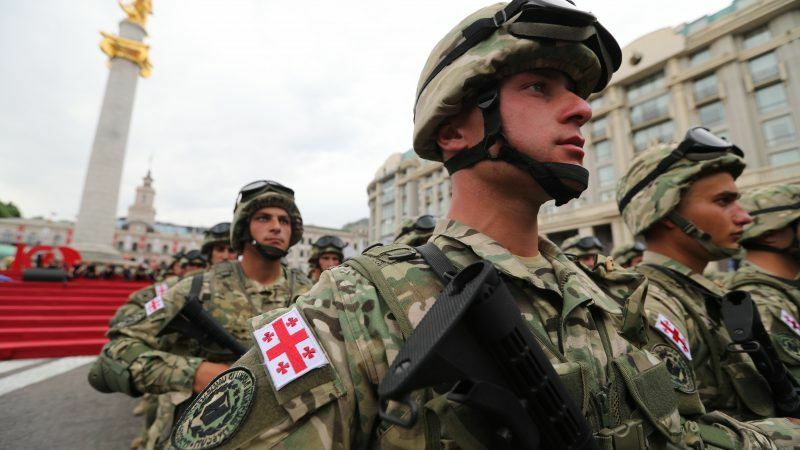 This year we mark its centennial, and also ten years since the Russian invasion of Georgia in August 2008, with Russian troops still present in the occupied territories, which is a clear violation of Georgia’s sovereignty. The European Union must give Georgia the support and attention it deserves. Georgia is a country of old Europe, with which we have common history and which aspires to be more closely integrated with what we can call new Europe. It is characterised by influences from many cultures and a neighbourhood full of contradictions and conflicts. Georgia has been the most successful country in the region in creating a more open society, through important reforms, but Georgians also know better than most not to take freedom for granted. The 1918 independence of Georgia was short-lived and the Soviet takeover three years later caused 70 years of oppression and stagnation, until Georgia regained independence in 1991. The market reforms, anti-corruption measures and increased cooperation with Europe, which was seen in the early 21st century, has now slowed down and there are many challenges facing the nation with regards to corruption, the judicial system and media freedom, to mention a few. However, there is still a strong commitment to the West. Many forces wish to undermine Georgia’s democratic development. When Russia invaded Georgia in 2008, it was part of a broader development of Russian military rearmament, support to separatist groups, propaganda, economic blockades and the provision of passports to Russian speaking minorities. Russia is a constant threat to stability, but Russia does not and should not have a veto on Georgia’s future. Russia must stop its military build-up in the occupied territories of South Ossetia and Abkhazia and withdraw all its forces from Georgia. What we saw with the Georgian citizens Archil Tatunashvili and Giga Otkhozoria, and systematic violations of human rights by Russian occupational forces are unacceptable. We should as members of the European Union impose sanctions on those responsible for, or covering up for, such violations as listed in the “Otkozoria-Tatunashvili List”. Our engagement with Georgia should be both bilateral and multilateral. As one of the Eastern Partnership countries, Georgia remains part of the initiative to increase regional cooperation and integration with Europe. We should continue to deepen cooperation on energy policy, infrastructure, trade and other political issues, but also in areas such as disinformation and cyber defence where we have common concerns. The EU has already been helpful in breaking harmful monopolies in the energy sector. For countries with ambitious reform agendas, such as Georgia, we should continue to offer a more-for-more policy. The next step can be to open up the customs union, energy union or the digital union. We should also ensure that there are sufficient funds to achieve economic reforms. The visa free regime, which is now in place, has allowed Georgians to travel freely to Europe and thus increased areas of contact among our people. We share with Georgia a truly European tradition and a joint history and we should work to shape a common future. To those in Georgia seeking a European path, we as Europeans have to demonstrate our sincere commitment to Georgia and talk about European values. More importantly, we ought to emphasize Georgia’s fundamental right to decide its own path. Democracy – just like independence – requires hard work, but it is worth fighting for.